The Copper River Valley offers a view of real life Alaska. 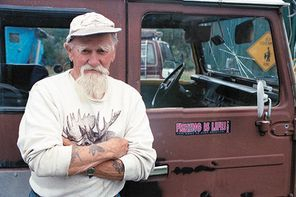 It is one of the few locations on the Alaska road system where Alaska Native villages still exist in a sizable number. These villages are: Mentasta, Chistochina, Gakona, Gulkana, Tazlina, Kluti-Kaah or Copper Center, and Chitina. 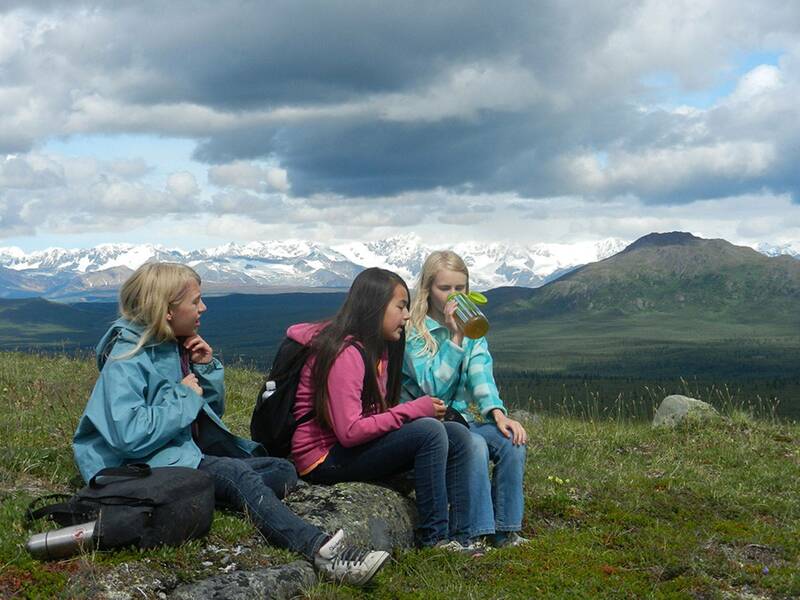 The Copper Valley's incredible far-ranging mountain views, its position of being surrounded by high mountain glaciers, its lakes, rivers, wildlife, and fishing opportunities all combine to make this one of Alaskans' favorite places to go for recreational activities. Alaskans enjoy visiting the Copper Valley because they see how different it is from the state's major cities. 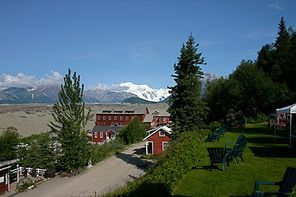 Because many of the businesses in this part of the state are run by longtime, year-round residents, the Copper River Valley offers a uniquely authentic view of Alaskan life. Go to the visitor center in Glennallen, and pick up the literature, see the displays by local businesses, and plan your various adventures. There are campgrounds to stay at, fish to catch, flightseeing, hiking possibilities, rafting, Native culture to learn about, and museums, old mines and parklands to visit. 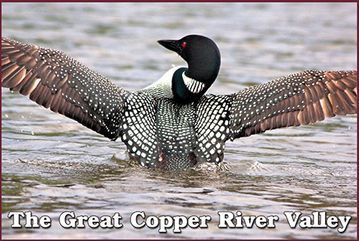 The Bureau of Land Management manages two Wild & Scenic Rivers, the Delta River at Tangle Lakes on the Denali Highway, and the Gulkana Wild & Scenic River that starts at Paxson Lake. There are five major recreation rivers, all of which are accessible, on both ends, by vehicle. These rivers are the Gulkana, Klutina, Tazlina, Tonsina and Copper Rivers. On the Glenn Highway, Lake Louise and Tolsona Lake are easily accessible. There are lakes at Paxson and Tangle Lakes near the Denali Highway. There are also lakes near Nabesna. There are many levels of wilderness rafting. Be sure to check with local guides. Also, go to BLM or the National Park Service for complete details before heading out on any rafting trips. The Copper River Valley is full of dense trees. The region's black spruce tend to be small, but they're thickly packed. 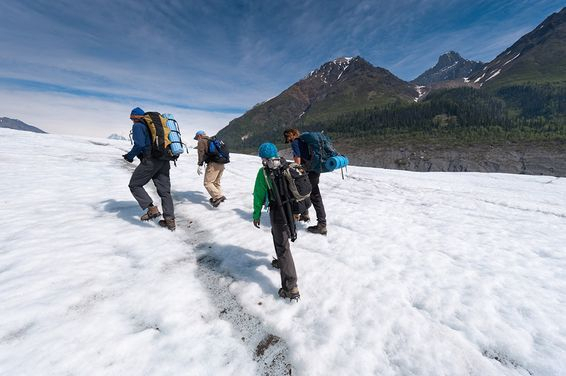 For the best hiking, try open country, such as Thompson Pass, north of Valdez; Kennicott; the Matanuska Glacier on the Glenn Highway, and the Denali Highway region. A good place to canoe is the Delta Wild & Scenic River in the Alaska Range. Again, don't go canoeing without checking first with BLM in Glennallen. Both Copper River reds and Copper River kings are great salmon. The Klutina and Gulkana Rivers are the best places to fish. Both have fishing access where their bridges cross the Richardson Highway. The Klutina River is south of Glennallen, and the Gulkana is north of Glennallen. Grayling are a trout-like wilderness fish that are caught with small "black gnat" or "mosquito" type flies. The Gulkana River is a good grayling spot in late summer. Some small streams, like Tulsona Creek, or Moose Creek in Glennallen, or Mendeltna Creek, are good grayling spots. The Wrangell Mountains are incredible mountains for those interested in flightseeing. Because the Chugach Range blocks a lot of the bad weather coming in from the sea, the Wrangells tend to be clear and sunny far more than Mt. McKinley (Denali) over to the west in the Alaska Range. You can go on flightseeing trips from McCarthy or Gulkana Airport, which is actually just a few miles north of Glennallen. There are historic roadhouses in McCarthy and at Gakona. You can visit the Copper Center Museum, go to Kennicott and McCarthy and see entire towns, visit the ghost town of Chitina, or visit the Ahtna Native Heritage Center and the National Park Service information centers in Copper Center. It's pretty hard not to want to take photographs of the many mountains, glaciers, creeks, streams, and wildlife in this part of Alaska. You can find out about the recreational opportunities at this wilderness park at the Park Visitor Center, which is not within the park boundaries, but is located at Mile 106.8 Richardson Highway, in Copper Center. There are also park contact stations in Kennicott, Chitina, and Slana on the Nabesna Road.